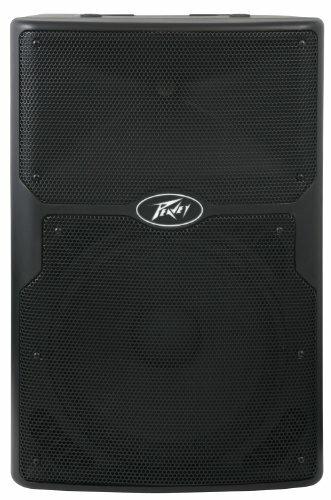 Peavey PVX12p 12'' 800w Powered Speaker Enclousure by Peavey at IGWT. MPN: 3602450. Hurry! Limited time offer. Offer valid only while supplies last. Sound Pressure Level - the real measure of a powered speaker! SPL (sound pressure level) is also commonly referred to as efficiency and sensitivity. Sound Pressure Level - the real measure of a powered speaker! SPL (sound pressure level) is also commonly referred to as efficiency and sensitivity. This parameter is a measure representing a speaker's loudness. A higher SPL equates to a louder speaker. The PVX p 15 powered enclosures deliver higher SPL while providing high-fidelity and impressive power using Peavey's legendary speaker and amp technology. These enclosures bring 800 watts peak of crystal-clear highs and deep low end, while using exclusive DDT compression technology to maintain clarity throughout the mix. The Peavey PVXp 15 is constructed with a 15" heavy-duty, premium Peavey woofer with a 2-3/8-inch voice coil for the lows and low-mids, while the Peavey RX14 1.4-inch titanium diaphragm compression driver, coupled to a constant directivity horn, handles the highs and mid-highs. Peavey PVX enclosures are housed in a durable, injection-molded enclosure that includes a pole mount, three multi-point flying locations and a tilt-back design to accommodate use as a personal monitor. A black powder-coated steel grille provides driver protection and a clean, professional appearance. With compact size, solid construction, multiple flying and mounting options, ample power and features, these will be your "go to" speakers for sound reinforcement.